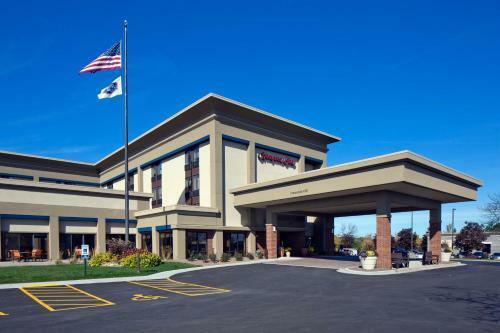 Placed near a number of Milwaukee attractions, including Miller Park Stadium, this hotel offers comfortable guestrooms and a variety of modern amenities, including free wireless internet access. Guests at the Hampton Inn Milwaukee Brookfield can start each day with a free breakfast buffet or take advantage of in-room coffeemakers. The hotel also features a 24-hour business center as well as fitness facilities and an indoor pool. Area attractions such as the Wisconsin State Fair Park and the Milwaukee County Zoo can be found near the Milwaukee Brookfield Hampton Inn. GE Medical Systems World Headquarters along with many shopping centers and restaurants are also nearby. the hotel Hampton Inn Milwaukee Brookfield so we can give you detailed rates for the rooms in the desired period.